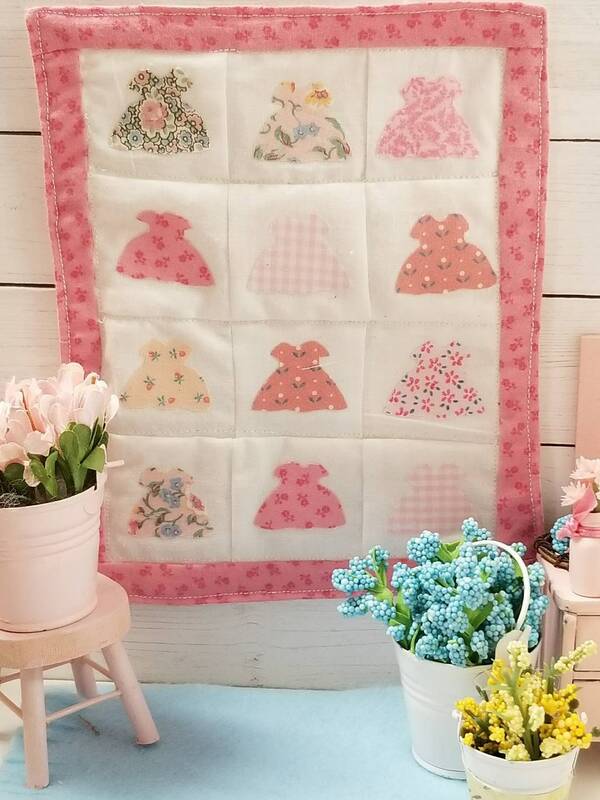 This decoratiminiature quilt is filled with pretty little dresses. 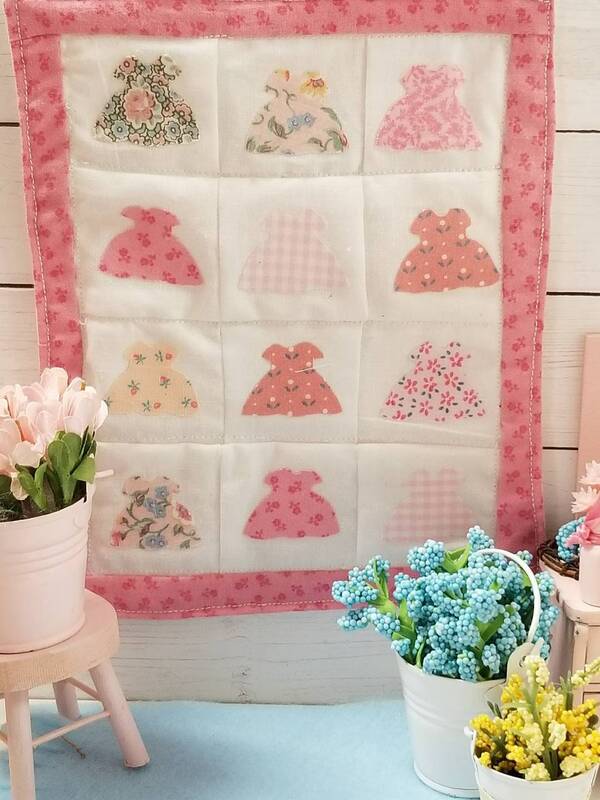 I created a pattern for this quilt and it is very easy to make. It is sold separately In My shop in the pattern section. The dresses are made from beautiful little pink prints. Each one adhered to the center of a quilt block. The quilt blocks are sewn together and finished into a quilt. 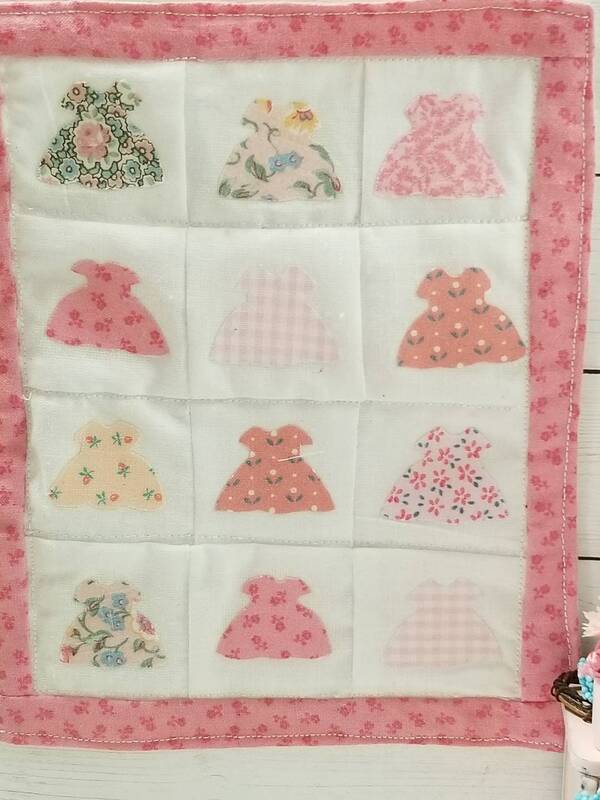 The quilt can be displayed on a wall like shown or used on a miniature bed. Measures 5 1/2" x 7"